Home Comedy	This comedian just said WHAT on television? This comedian just said WHAT on television? My man Jimmy Carr is known for speaking his mind and his latest speech is nothing short of #amaze. 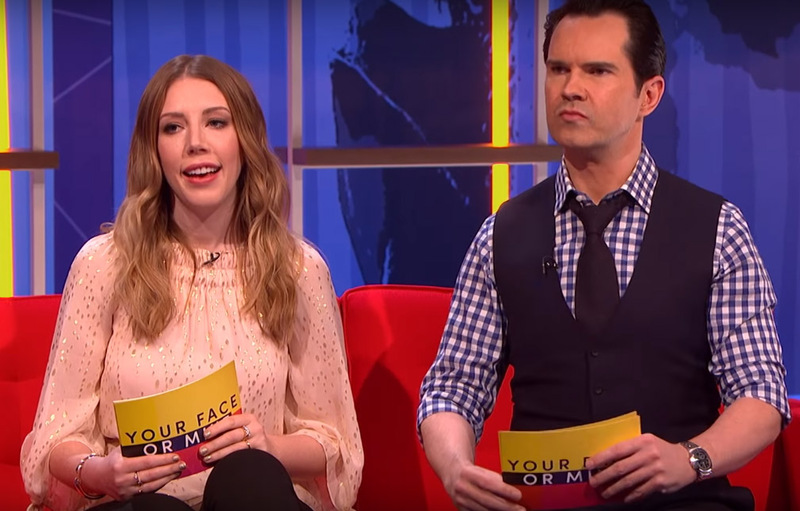 His topic of discussion- a man’s p***s.
On his show Your Face or Mine, couples rate each other based on their looks. Ben and Stephanie rocked up to get ruined by Carr as this week’s couple – and he certainly didn’t disappoint. As soon as they were seated on the sofa, a lot of questions about how they met asked. First up was Stephanie’s pole fitness pics – displaying her in a pretty impressive position while mastering a manoeuvre. And then up popped a picture of Ben in his speedo pants with is mates and that’s where Jimmy lost it. He pointed out that everyone else had filled in before him. Gutted. Ben responded by lining himself up nicely for more of Jimmy’s barbs and ended up body-shaming himself. TUrns out that his is ill and needs to take more care of his body. HE says he was out of shape. Damn dude, why you gotta say his junk is small! Why you gotta hit the self esteem bro? This carpool acapella is just #WOW! This Dance Video To “Shape Of You” Is Unbelievably Cool. You better not ask your girl these 7 questions about S*X!